Over the weekend, I just couldn't find the creativity to work on Eri's Paris book. Normally I have a bunch of great ideas, but found myself spending more time looking at other peoples work. Then a distraction popped up in my email. 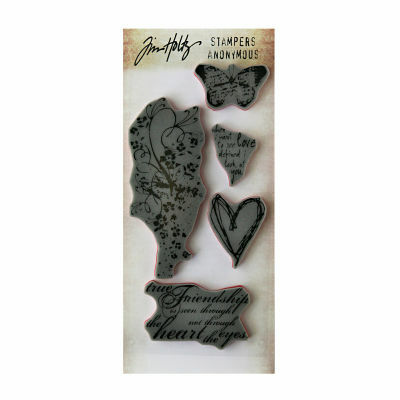 Tim Holtz was having a Tattered Floral challenge. Yes!! This is a die I have used over and over. I can do this! So I decided to create a flower in the browns, golds and reds to match her pages. Using a paper lunch bag, I cut the the following number as seen in image. Stamped each with Tim Holtz® Heartfelt Cling Stamp Set. Item# sb3793 using Ranger Archival Ink. Once dried I used Ranger Distress Inks, Barn Door and Wild Honey to add a bit of color. 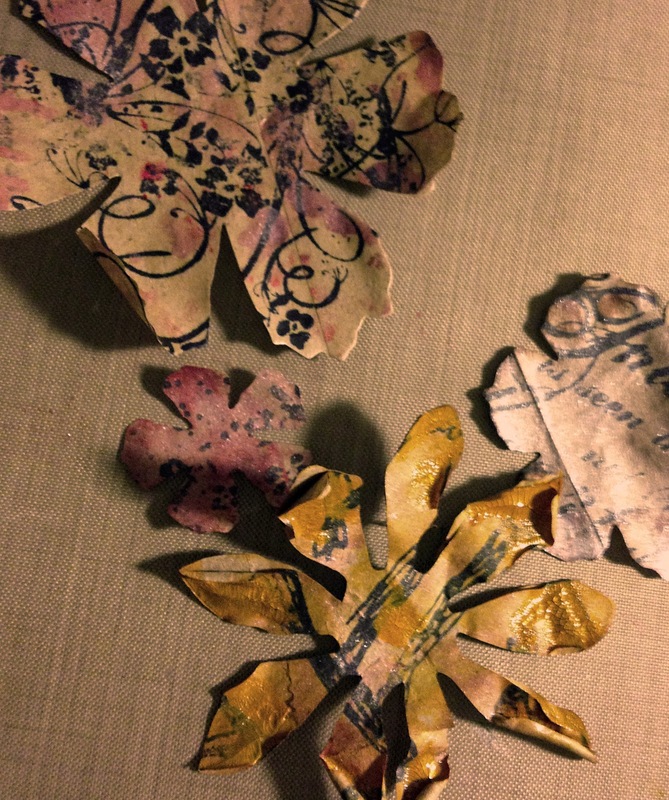 Coating all flowers front and back with Mod Podge once dried. Ranger DIS-27157 Tim Holtz Distress Ink Pad (Google Affiliate Ad)At the tips of the pointy flower, I added Distressed crackle paint, Tarnished Brass. The tips will curl while they are drying. 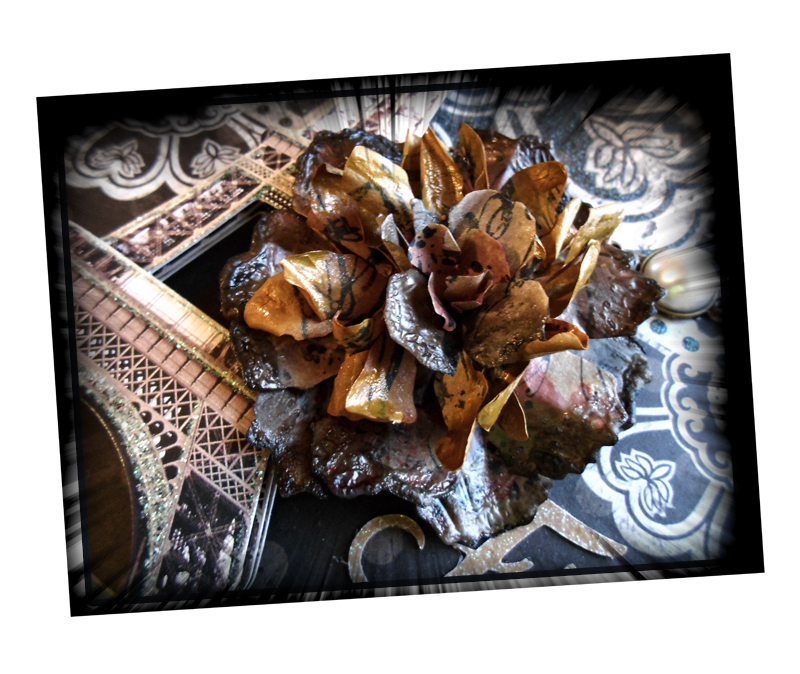 Large flower and the larger of the smaller flowers, I added a heavy coat of Mod Podge and while wet, carefully burnt the edges by holding slightly over the flame of a candle. Use caution if you do this. Paper can catch fire quickly. Assembly, Using hot glue I started with the larger flowers not lining up the petals. The Mod Podge makes them pliable. Bend petals to desired shapes. Next take the three pointy flowers folding each in half then in half once more. Lay them down bringing all non-petal ends together (point) and glue to larger flower forming a circle and glue. 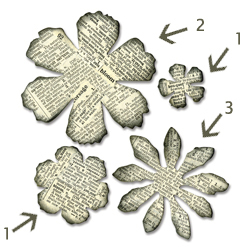 In folding, some petals are now backwards, gently twist them around. The smaller two will serve as the flower center. Take the eraser end of a pencil and place in center of each. Bring up petal edges and shape to pencil. The smallest flower, squeeze tighter after you remove pencil to form a bud for the very center. Glue these together then glue into other flower. Bend petals for desired look.